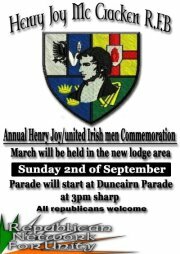 While it’s great that there’s a Henry Joy McCracken commemoration, and I wish the organisers well with this event, what I fail to understand is why individual socialist-republican groups organise commemorations of people who belong to all of us. 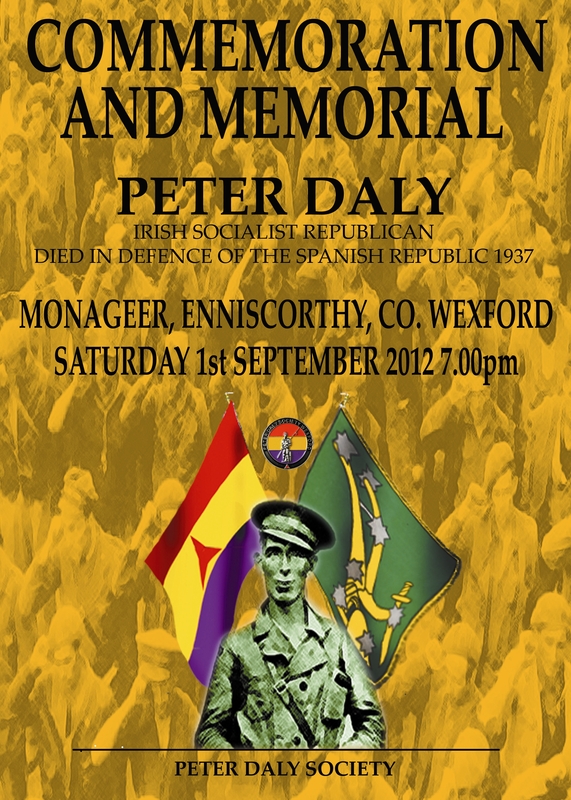 Why not a combined committee of representatives from the different groups, and independent left-republicans, to organise an event like this, with support and speakers from all the groups? How many of these separate commemorations do we need? How many will be enough? Jimmy Roe was born in Albert Place, West Belfast on 14th December 1927 to George (an IRA member in the 1920s) and Emelia Roe, who was of Italian descent with ancestors who had fought with Garibaldi’s Redshirts. Jimmy Roe grew up with a brother (George) and two sisters (Anna and Marie), under the twin influences of the Gaelic Athletic Association (GAA) and radical republicanism. He exhibited a keen interest and enthusiasm for the GAA. Jimmy represented Antrim in hurling and football, playing on the Antrim team remembered for their defeat of Cavan in the 1951 Ulster football final. He was also instrumental in the development of Casement Park, which would later become the senior venue for Antrim GAA. I’m currently working on a review of Augusteijn’s surprisingly good bio of Pearse. On August 16, South African police opened fire on striking miners at the Lonmin mine, near Johannesburg. The police shot dead 34 miners and injured 78 more. While ANC leader and South African president Joseph Zuma has called for a commission of inquiry and declared a national week of mourning. Cyril Ramaphosa, once a militant workers’ leader and now a multi-millionaire with shares in the Lonmin mine, has offered to pay for the funerals. Zuma and Ramaphosa are total hypocrites. The massacre of these workers is the perfectly logical outcome of the entire course of the ANC since it won the country’s first democratic elections in 1994. The entire ANC is rotten to the core because its primary commitment is to managing capitalism in South Africa, a course which also has the happy result of enriching a whole layer of ANC bureaucrats and converting them into millionaires. 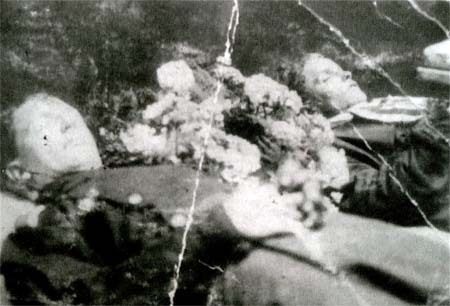 éirígí Dublin North East will mark the 90th anniversary of the execution of Volunteers Cole and Colley with a wreath-laying ceremony on Saturday, August 25th, assembling at 12.30pm at Beaumont House before the short walk to Yellow Road. At the end of July, several different republican military currents came together, following a period of co-operation and months of discussions. The currents involved are the Real IRA, the Derry-based Republican Action Against Drugs, and independent groups of armed republicans. 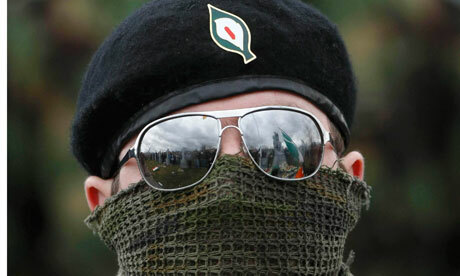 The merged organisation has adopted the name Irish Republican Army, picking up the baton abandoned by the Provisionals. 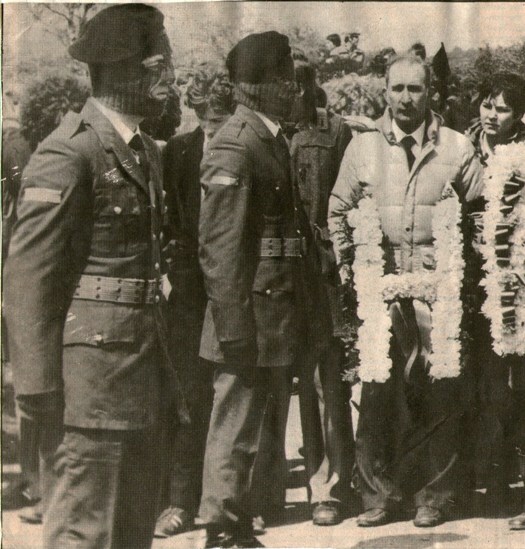 The New IRA promises to wage armed struggle against the British state, including its six-county component, until the British government is forced to the negotiating table and agrees a schedule for withdrawal from Ireland. Protests by the turf-cutters have been continuing over the past several months, while meeting resistance from the 26-county state. Luke Ming Flanagan TD and PRO of the Turf Cutters and Contractors Association has pointed out, for instance, “the turf-cutters are being intimidated by the National Parks and Wildlife Service (NPWS)”. He has likened the turf-cutters’ activities to US black civil rights heroine Rosa Parks stayed seated on the bus and refusing to give up her seat to a white person. “There are occasions that during the tyranny of the state, the law needs to be broken,” Flanagan has noted.